Jorg F. Voss was born in Germany in 1936. In 1946, just after the war, he was initiated into a church youth music group in East Germany by building his own bamboo flute from a piece of scrap. After his family escaped to West Germany in 1947, he became exposed to the Youth Music Movement of post-war Germany, which stressed choral singing, folk-songs from all over the world and emphasized the use of “affordable” instruments (such as recorders and the Orff percussion family) and the performance of Renaissance and Baroque and Contemporary compositions. Leaders, among them Gottfried Wolters, Willi Träder and Egon Kraus published and recorded the movement’s music and broadcast it for use in the public school system. Jorg’s love affair with the recorder, guitar, choral music, choir directing and music arranging had thus begun. He had early lessons in Harmony and a short course in Composition and tried his hand at a variety of music arrangements for choral and instrumental use. But the 60’s were also a time of realism, and reality set in, when he chose an Engineering career to “bring bread to the table”. Studies brought him to the United States in 1959, where he pursued his technical career until his retirement in 1994. Throughout those times he continued singing in choirs, playing recorders and directing groups in Wisconsin, California, Germany, Arkansas and Georgia. 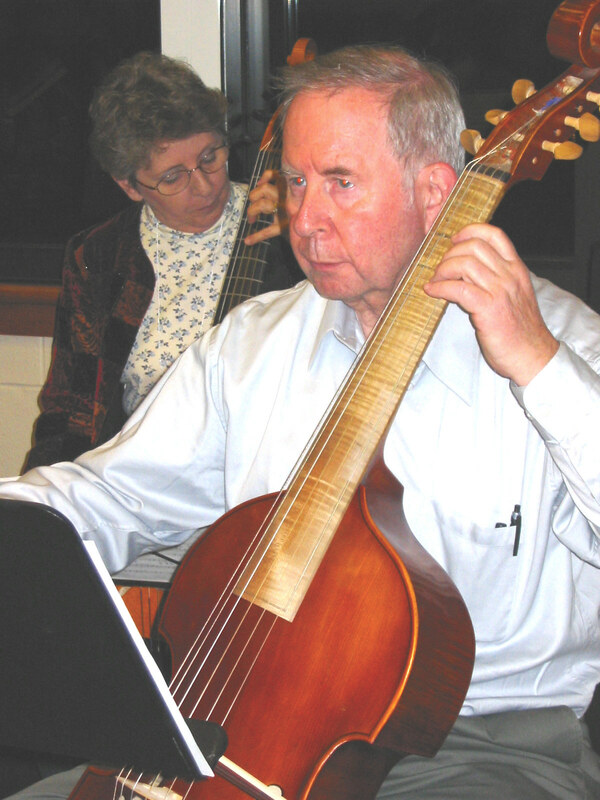 In recent years he added playing Viola da Gamba to his musical skills. Jorg considers his interest in music “romantic”, since he enjoys the lyrical or “singable” aspects of compositions. He is also quite fond of ethnic music styles from many cultures, since they enrich playing and listening pleasure with their variety of musical lines, harmonies and rhythmic patterns. His compositions employ traditional harmonies; some include modal “keys” and Renaissance and Baroque compositional structures. His love for polyphony permeates most pieces, with primary intent to give each voice interest and importance. Rhythmic patterns vary. Syncopations and unusual time signatures present some challenge to first sight reading.